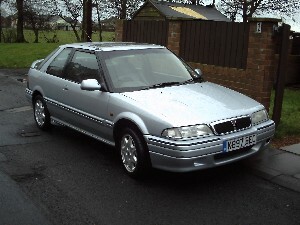 Description of car for sale : Rover 1993 K 220 GTI Manual petrol Silver £550 62,706 miles, "Used Rover 200 Series/ 220 GTI For Sale. 2 Ltr Twin Cam, 16 Valve, Close Ration Gear Box, Half Leather Bucket Seats, Very Tidy Internally, Externally. 11 Months MOT Engine Very Good Condition. Very Quick Car."